Congestive heart failure is a progressive condition in which your heart does not pump or fill efficiently. In other words, blood flow through your heart is abnormal. The condition is chronic, which means it cannot be cured. There are, however, many treatment options available to help slow progression and improve quality of life. Here is a comprehensive look at what you need to know about heart failure including symptoms, causes, diagnosis, and treatments. The symptoms that occur with congestive heart failure can be life-threatening. Common signs and symptoms include shortness of breath, exhaustion, and an irregular, rapid heart beat. You may also experience pain in your chest, a dry or wet cough, a loss of appetite, frequent need to urinate at night, and bloating due to water retention. If more than one symptom is present, do not hesitate to consult with a doctor. Heart failure is caused by damage to its muscles or a weakening and stiffening of the heart, which can be caused by the following conditions: coronary artery disease (CAD), heart attack, cardiomyopathy (damage caused by alcohol or drug abuse), high blood pressure, diabetes, thyroid disease, heart defects present at birth, sleep apnea and abnormal heart rhythms. Obesity: People who are overweight have a higher risk of developing congestive heart failure. Alcohol abuse: Consuming too much alcohol can cause the heart muscle to weaken and cause heart failure. Tobacco use: Smoking tobacco increases your chances of heart failure. Chemotherapy: Some chemotherapy drugs can weaken or damage heart muscle, increasing your risk for heart failure. Medication: Certain diabetes medications can increase the risk of heart failure. These include Avandia and Actos. Viral infections: Viruses and infections can damage the heart muscle, leading to heart failure. If you begin to experience more than one symptom of congestive heart failure, you should see a doctor. 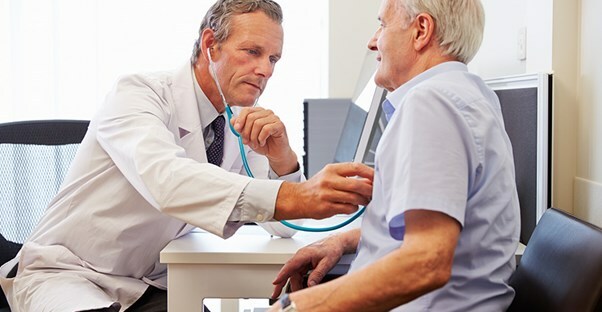 Before any tests are performed, your doctor will discuss your medical history with you, evaluate your symptoms, and conduct a physical examination. Next, your doctor may order the following tests in order to obtain a better understanding of how your body is functioning: blood tests, chest x-ray, electrocardiogram (ECG), echocardiogram, stress test, CT scan, MRI, coronary angiogram, and myocardial biopsy, which involves taking pieces of the heart muscle to determine the cause of damage. Treatment will depend on the individual and what the underlying cause of heart damage is. This is something that can be figured out with your doctor. In most cases, heart failure is treated with a combination of medication and other methods. In some cases, surgery is performed to treat the underlying cause of congestive heart failure. Possible procedures include coronary bypass surgery, heart valve repair or replacement, pacemaker installation, and heart pump installation. For those with severe heart failure that cannot benefit from medication or surgical procedures, a heart transplant to replace the diseased heart with a healthy donor heart is needed. Because heart failure is chronic, it is important to stay committed to treating the disease. This means reducing the risk of progression by making lifestyle changes: stop smoking, maintain a healthy weight, eat a healthy diet, eat a low sodium diet, exercise, reduce stress, and limit alcohol consumption. You will greatly benefit from healthy lifestyle habits and prevent the condition from worsening.